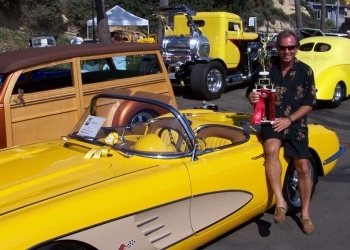 Corvette Mike has been restoring Corvettes and classic muscle cars for over 25 years with more Bloomington Gold and Top Flight awards than we can list. We have the experience to revive any vehicle, whether it’s “freshening up” your interior or a complete Body off Restoration. We do it with complete confidence in achieving your dream for the American Classic. 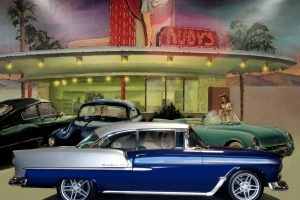 A body off restoration is truly the best way to completely restore your classic car. 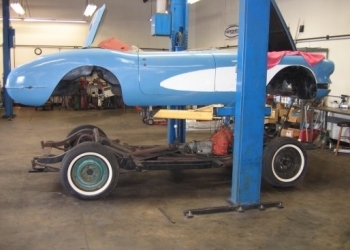 The experts at Corvette Mike have the parts, knowledge and experience to restore your vehicle to its original condition. 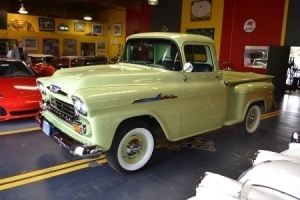 For questions regarding Restoration please email us at Restoration@CorvetteMike.com or call us at 714-630-0700. 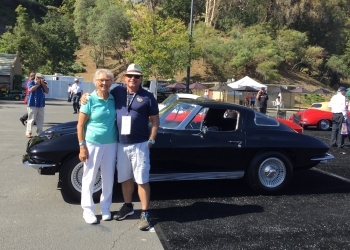 Dear Mike, I just wanted to thank you, Carl, Gary and your fantastic crew for doing such an incredible job restoring my ’56 Corvette. It turned out perfectly, both mechanically and cosmetically. I am fortunate enough that I live close to your shop so it is convenient location-wise, but I don’t think anyone anywhere could have done a better job with my car. As you know, it turned out absolutely beautiful. Carl and Gary are the best and it is always a pleasure to chat with them and learn from their expertise. My car was in very good hands at Corvette Mike. Thanks again for a job well done and keep up the good work!Kevin R.